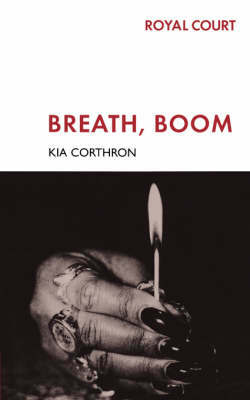 A new American play to re-open the Royal Court Theatre Upstairs Breath, Boom is Kia Corthron's first play for the Royal Court Theatre. It is a startling acute portrayal of Prix, a hardened female gang member in New York, whose only escape from her narrow, abusive life is an obsession with creating the perfect fireworks display. The play is based heavily on research into the lives of young women who choose to lead violent lives on the streets. It captures the tough and often poetic language that people who inhabit a world cut off from normal existence use to both mask and portray a perilous existence.